Talons for hands, pale famished nightmare mouths. imaginary friends. They invited her. To Craigflower Bridge. for my foster mother, she said. But first, a party. who molested her. At fourteen, she could not get clean in any bath. No more gloomier monster … and scourge sent by the god’s wrath. they called her at school. Bearded lady. heavy and large as a woman’s. But then she got friends. They invited her. ever mounted from the black stygian water–flying things. in the trailer until his father left. that was Kelly’s. Stay home Reena’s uncle said. with young girl’s faces, but foul ooze below. under water? Let her up, one said. sentenced her. I didn’t kill her, I just beat her. (Followed her, finished her off.) She muttered oaths. or offerings from north or south? 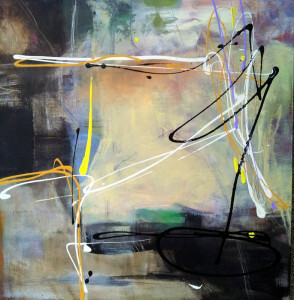 Lisa Wright writes: "The Abstract Expressionists are my foundation for technique and freedom of expression. My art is non-objective and has many layers. I work in acrylic and mixed media. 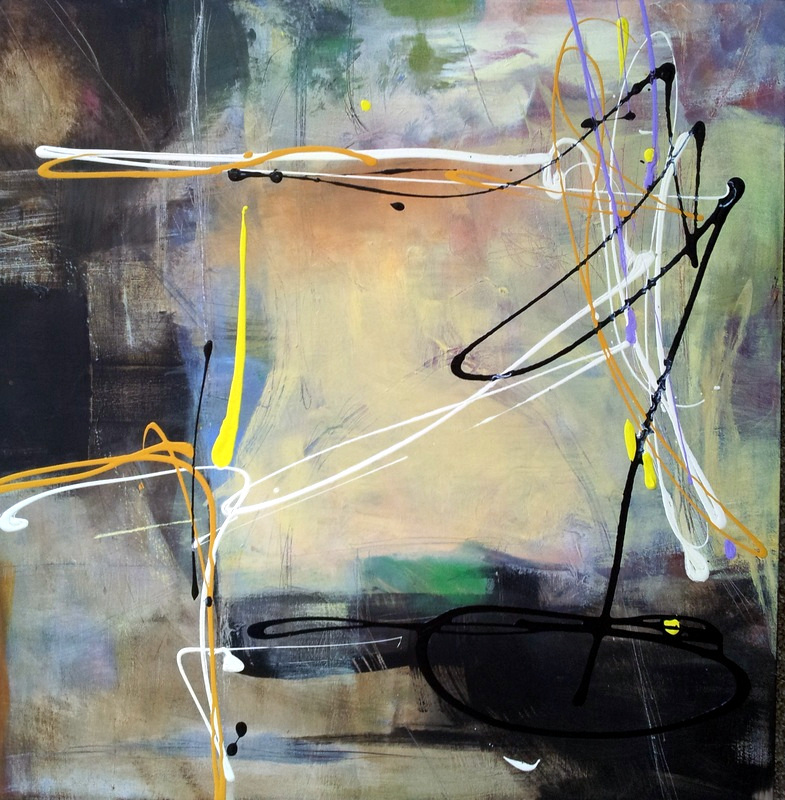 I paint intuitively by reacting to an experience: storms, a brilliant sun, the sound of wind in the trees or interpreting the depth of a person’s gaze. Movement, power and drama can be found there. Composition and design ground the painting. I create so that you will experience something personal inside my painting. Your unique perspective is the art." Lisa's work has been displayed in the Teichert Gallery (Art Gallery of Nova Scotia, Halifax), Rhubarb Restaurant Gallery (Indian Harbour, NS), Andrea Redmond Studio Gallery (Seabright, NS). Her solo exhibitions include Something Personal, Andrea Redmond Studio Gallery (Seabright, NS), Trellis Café (Hubbards, NS), Bedford Eye Care Centre (Bedford, NS). Group exhibitions include the Teichert Gallery (Halifax), Swoon Fine Arts (Hammonds Plains, NS), The Halifax Club (Halifax), Studio S (Bedford, NS), Aspotagan Arts and Crafts (Aspotagan, NS) and Crossroads Artists, NS. It’s hard to comment on this powerful poem. It vibrates with pain. I will be thinking of it, and feeling it, for days. Why do some humans feel nothing for others, and some write so feelingly–like Virgil and Carole–that it hurts? “Across a Brook” is an amazing match for Carole’s poem, too–“I create so that you will experience something personal inside my painting”–brilliant. very moving poem Carole. I can still see Reena’s picture from newspapers and magazines when she was killed. horrifying. A really finely-crafted poem, Carole — emotionally haunting and technically impressive. So apt, that quatrain from the Aeneid, really emphasizing the continuity of brutal treatment of other humans has endured. Chilling. And my heart aches for Reena all over again. Thank you.